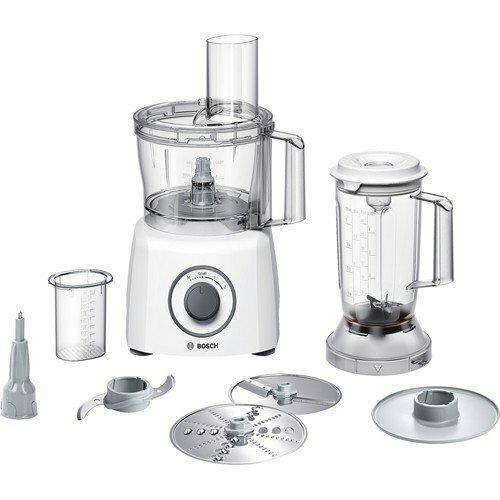 constantly good results thanks to three double blades – ingredients are chopped precisely, shakes and smoothies mixed perfectly. chopping, grating, mixing, and much more – thanks to versatile accessories such as the stainless steel multifunctional knife and MultiLevel6 knife. easy and convenient cleaning of the accessories in the dishwasher. accessories can be stored in the bowl and are thus quickly at hand. Thanks to smart markings, accessories can be mounted quickly.